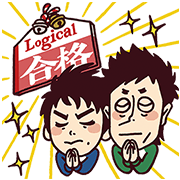 http://www.line-stickers.com/ – Nakabayashi & Rozanʹs Stickers Line Sticker | Check out the set rooting for students everywhere with the help of Nakabayashi and the comedic duo Rozan! Spokespersons for Swing Logical notebooks, the Rozan combo are sending their cheers toward every student working hard! 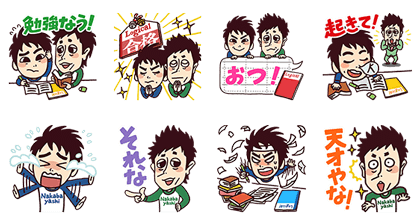 Friend the Nakabayashi official account to get these stickers! Available till February 9, 2015. Next post Happy Hot-air Balloon, Fighting!